It’s a simple question, but one with a handful of difficult answers: Will earnings season lift stocks to new all-time record highs? Certainly, while the bearish case is an obvious choice, it’s been a losing investment strategy so far in 2013 as the Dow Jones Industrial Average and S&P 500 indices continue to make new all-time highs. The Nasdaq technology index finally caught a headwind in April after International Data Corporation released an ugly forecast for the PC market. Recent data from IDC indicates that PC shipments fell 13.9% among the top 5 computer vendors during the first quarter, causing shares of Hewlett-Packard Company (NYSE:HPQ), Intel Corporation (NASDAQ:INTC), and Microsoft Corporation (NASDAQ:MSFT) to fall heavily on the news. I remain focused on identifying investment opportunities based on company-specific analysis, and use the market indices only as a barometer for overall market health. Here are three stocks in my mind with high conviction to either buy or sell ahead of first quarter earnings. Caterpillar Inc. (NYSE:CAT) is the world’s largest manufacturer of industrial machinery, and therefore its business prospects are tied heavily to the strength of the global economy. The company’s North American business (external website) is quickly rebounding as commercial construction and residential housing resume upward trends. However, two concerns are threatening Caterpillar Inc. (NYSE:CAT)’s fundamentals: 1) weakness in the global mining industry with resulting job layoffs and 2) the weakening Yen currency which helps Japanese export manufacturers. In early April, Caterpillar Inc. (NYSE:CAT) announced that it was laying off 460 mine workers in Decatur, Illinois in order to bring supply in line with market demand. Industry experts agree that the layoffs were spurred by weakening demand for coal as U.S. power plants begin to utilize clean and abundant natural gas. 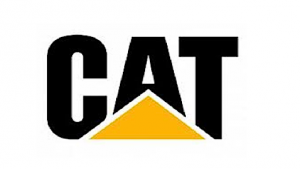 The demand shift has resulted in fewer equipment sales for Caterpillar Inc. (NYSE:CAT) and competitor Joy Global Inc. (NYSE:JOY). The second reason I recommend that readers sell Caterpillar Inc. (NYSE:CAT) is due to the Japanese Yen. Komatsu Ltd is the #2 global manufacturer of industrial machinery behind Caterpillar Inc. (NYSE:CAT), and the weakening Yen will cause Komatsu’s excavators and backhoe loaders to be priced more competitively than Cat’s American made counterparts. The same holds true for Toyota Motor Corporation (ADR) (NYSE:TM) and Honda Motor Co Ltd (ADR) (NYSE:HMC) vehicles when compared with our domestic Ford Motor Company (NYSE:F) and General Motors Company (NYSE:GM) (although some manufacturing is completed here and in Mexico). In its semi-annual currency report to Congress, the U.S. Treasury issued a warning to both China and Japan regarding competitive devaluation of their currencies, but stopped short of labeling the Asian economic powers as currency manipulators. The business weakness at Caterpillar has led a handful of Wall Street firms to lower their price targets on the stock. Analysts at Bank of America, Credit Suisse, and Wells Fargo all cut their targets more than 10% to $95, $90-$93, and $110 within the last week. While the Wall Street target price is still higher than recent market prices, I recommend that readers sell Caterpillar ahead of Monday’s earnings report. On March 7, Texas Instruments Incorporated (NASDAQ:TXN) hosted a mid-quarter conference call to provide investors with an updated business outlook. Management narrowed its Q1 earnings and revenue guidance to the higher end of a previously announced range. Earnings per share are expected at $0.28–$0.32, while revenue is anticipated at $2.8 billion–$2.91 billion for the quarter ending March 31. While the raised guidance is certainly a positive in isolation, Wall Street analysts aren’t convinced that the forecast is indicative of improved business prospects going forward. Texas Instruments Incorporated (NASDAQ:TXN) announced during fall 2012 that it would be exiting the wireless business, choosing to focus on a segment called embedded processing. Wall Street believes that the Q1 strength can be attributed to wireless, and Texas Instruments Incorporated (NASDAQ:TXN) will be soon departing this segment.